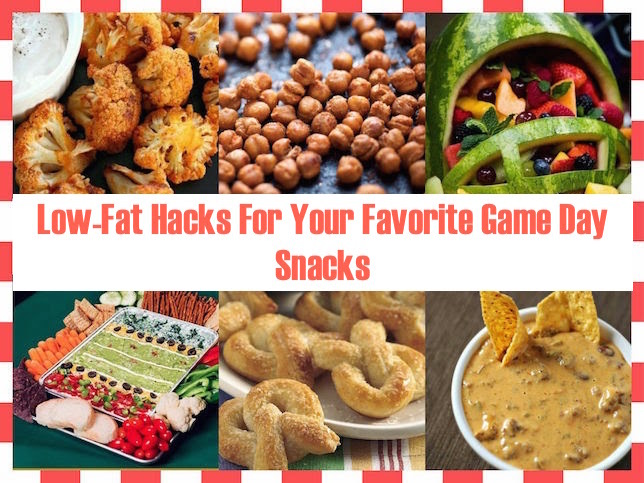 In an effort to not completely sabotage my diet on gamedays, I created a Pinterest board packed with guilt-free Game Day Snack goodness. Every single recipe is a twist on classic Game Day favorite with half the fat and loads of flavor. Below are 10 of my go-to game day favorites. These hacks will leave you satisfied, and most of all, not feeling like you knocked over an all you can eat buffet. 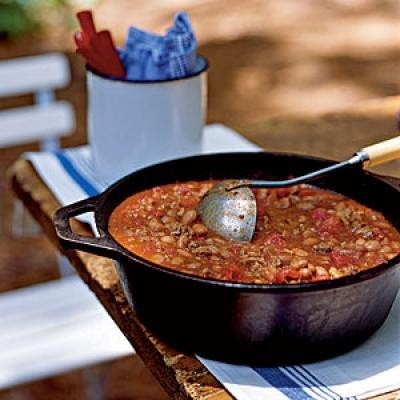 To tame this classic crowd pleaser, replace high-fat ground beef with lean ground turkey breast and lean ground sirloin. Load up on the veggies: peppers, onions, beans, tomatoes and fire-roasted corn. Top with reduced fat cheese and sour cream. 2. Homemade bean dips so good, no one will know they are bean! Make your own creamy (the creamier the better) dips by pureeing white beans with onion, garlic, and Parmesan cheese, or black beans with green chiles and cumin. The calories and fat are significantly slashed, plus you get a fiber boost with each serving. Serve with fresh veggies. 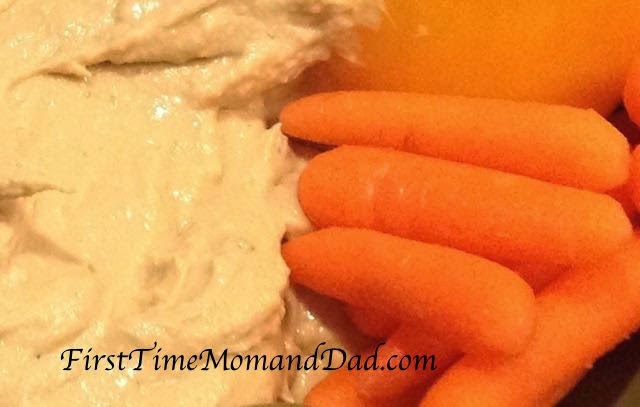 For a list of yummy dip recipes and nutrition info, click here. 3. Homemade Mini Pizzas LOADED with Hidden Goodness! Keep the kids entertained with 'make your own mini pizzas.' Just don't let them see you layering on the veggies before the cheese. 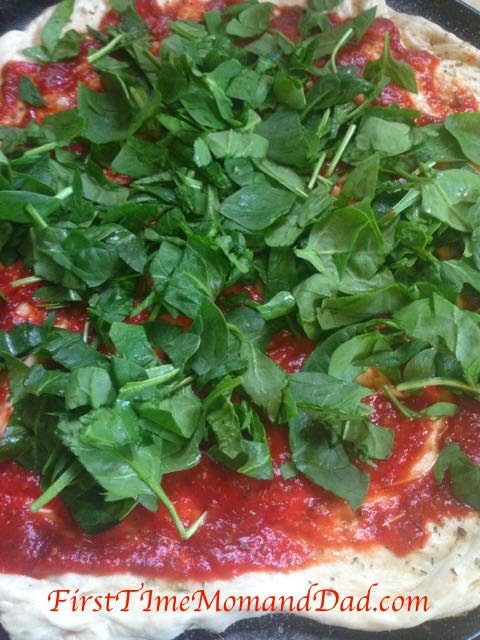 Save time by prepping the dough the night before. On game day, offer healthy toppings like low-fat mozzarella, turkey pepperoni and loads of veggies. 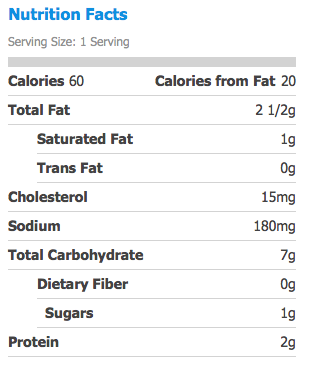 Skip the fried chicken and go for baked chicken salad for full flavor and a fraction of the fat! To save time, I pick out the fattest rotisserie chicken in the deli. 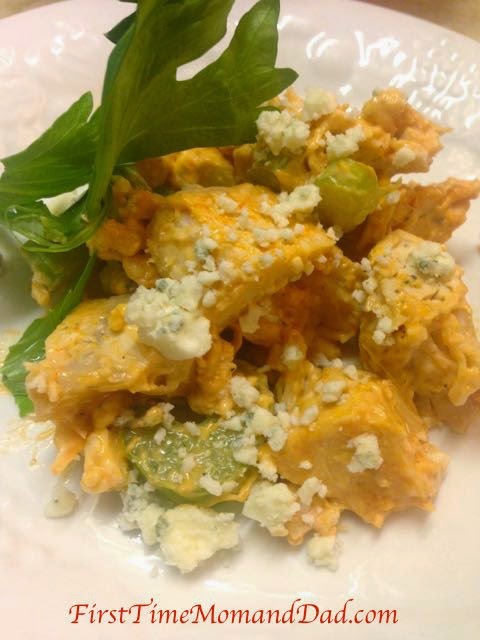 Chop in to small pieces and toss with buffalo sauce, greek yogurt or low-fat mayo and chopped celery. Serve with blue cheese crumbles and fat-free ranch dip. Recipe, Here. 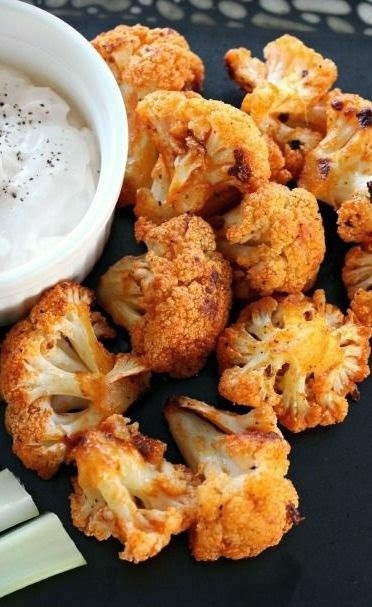 Roast cauliflower until slightly browned and crispy. 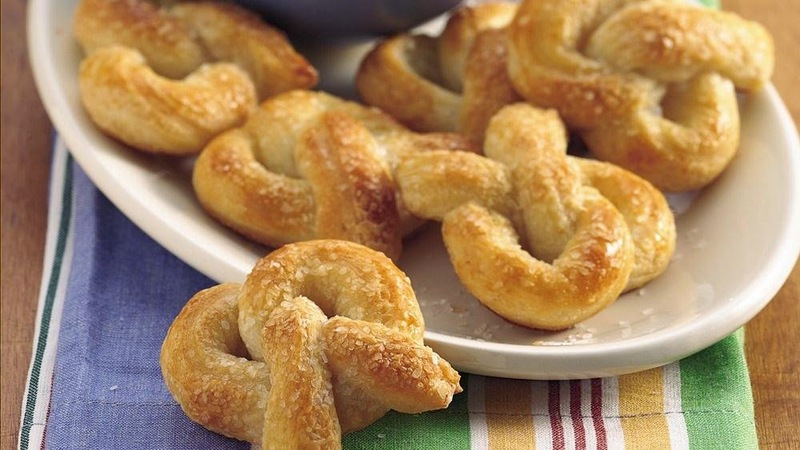 Serve with celery sticks, fat-free blue cheese or ranch for a nearly guiltless snack! 6. 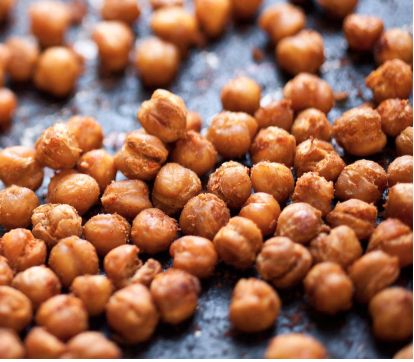 Can the nuts and roast savory chickpeas! These are so good I make them year round! 7. 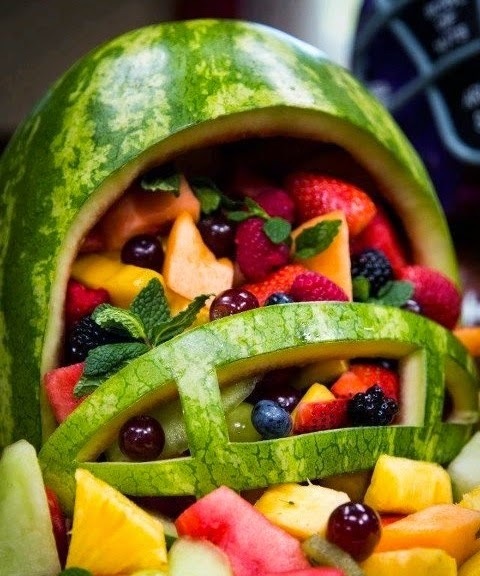 Don't forget the Game day Helmet O' Fruit! These are SO GOOD and low fat too! Made with refrigerated bread sticks, so no prep! Recipe, here. 9. CHEESE PLEASE! 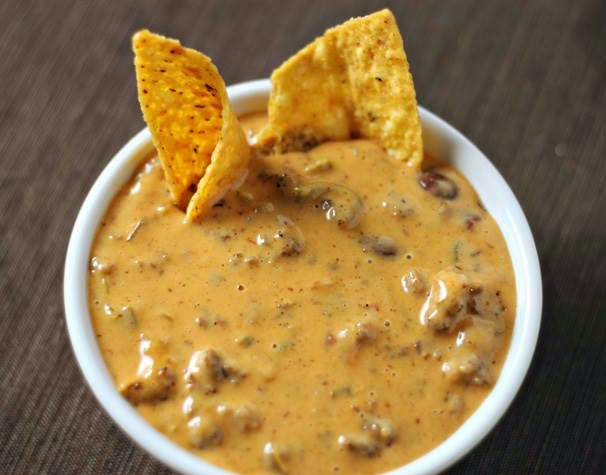 Low-Fat Queso Dip! Add chili, loads of veggies and reduced fat and/or fat free cheese! Step-by-step, Here. Do you have a healthy game day favorite? Please Share! 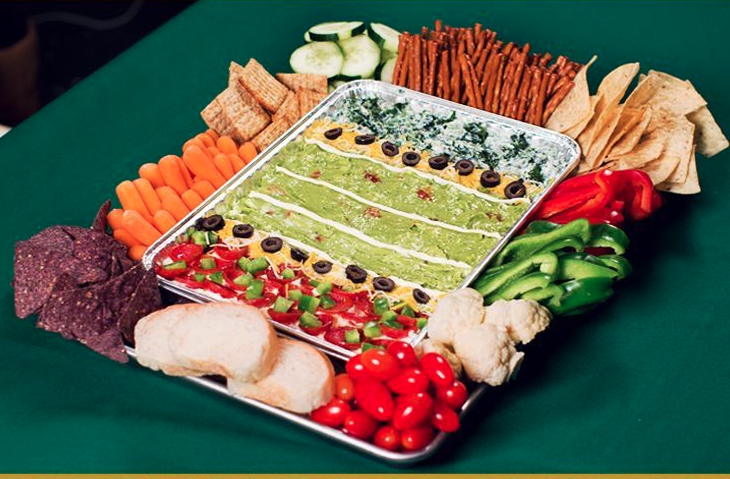 To check out my game day Pinterest Board, Click here.